Somehow MBAs and startups when combined together is one of the most discussed topics, both among startups as well as MBAs. There is a common belief among startups that MBAs aren’t good for them and that you don’t need an MBA to start or run a business. I will, both, agree and disagree to the above statements. For the past two years, I have been working for startups and have also been lucky enough to start one myself. In a few days, I am heading to S. P. Jain Institute of Management and Research in Mumbai for an MBA. I agree that formal education is highly overvalued and so are brand names. But guess what, the reality is, it works! Again, I agree that an MBA education will not help you become an entrepreneur nor is it designed in such a way that would help you run a business. But there is a lot more to a business school than just the education or the degree. I run a startup and I don’t really distinguish between an MBA or not an MBA because my sole objective is to pick the person who can get the job done. Period. An MBA provides a fair amount of knowledge on historical case studies which helps in understanding and analyzing the situation better. Although there is no substitute to real hand experience, but this is probably the next best thing. 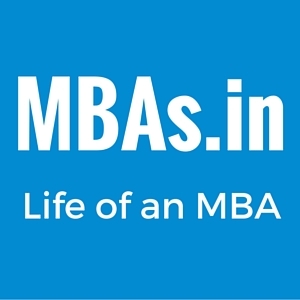 An MBA from a premier business school builds credibility. If you are aiming to start an enterprise, this will definitely help open a few doors for you. It may not help you to tackle all the uncertainties in running a startup but will definitely make you much better at pitching to clients, setting up proper infrastructure, getting operations/finance right, etc. An MBA from a premier school will help you build a great network and trust me, you will need it. Finally, your peers at a business school will be your major learning which will definitely come handy once you start your own business. In fact, you might find a great co-founder too. MBAs sometimes tend to have a different attitude and I think this is what hurts startup founders the most and hence the hatred. I think apart from anything else, it is very important to be good human beings. Nowadays, a lot of premier business school graduates are exploring the option to work for startups. While they are ready to take a decent pay cut in exchange of equity when compared to an MNC job, each applicant will also have some minimum expectation. And you can’t put them at fault. Basically a business school education costs and lot and everyone wants to recover that as soon as possible. Lastly, MBA or no MBA, you basically need fire in the belly to start and run a startup as well as work in one. If you have that, you are good to go. Previous story WHY I CHOSE SPJIMR OVER YIF?